Imran Khan: Pakistan to release detained Indian pilot as "gesture for peace"
Home https://server7.kproxy.com/servlet/redirect.srv/sruj/smyrwpoii/p2/ World https://server7.kproxy.com/servlet/redirect.srv/sruj/smyrwpoii/p2/ Imran Khan: Pakistan to release detained Indian pilot as "gesture for peace"
Pakistani Prime Minister Imran Khan announced that the pilot, whose jet was hit by a dog stroke between Pakistani and Indian warplanes on Wednesday, would be released Friday as a "gesture of peace". Despite the good emotional movement, the tensions in the region continued on Thursday. Secretary General of the Indian Army Surinder Singh Bahal told a Thursday conference on the Indian Army, Navy and Air Force in New Delhi despite Pakistan's pledge, India remains on "high alarm". Pakistan said four civilians were killed by Indian fire over the control line, which separates Indian-controlled cashmere from Pakistani controlled cashmere. India's army accused Pakistan of opening an exchange of fire on Thursday. 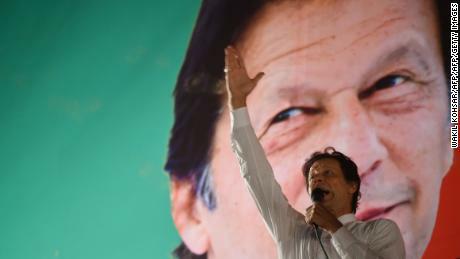 Khan's message came after Indian Prime Minister Narendra Modi said that "the whole country is … standing with our soldiers" after several days of military exchanges between the two nuclear-poor neighbors. On Wednesday, Pakistan said its air force shot down two Indian fighters over Kashmir. India confirmed the loss of a plane and said it shot down a Pakistani jet when it responded to the incident. 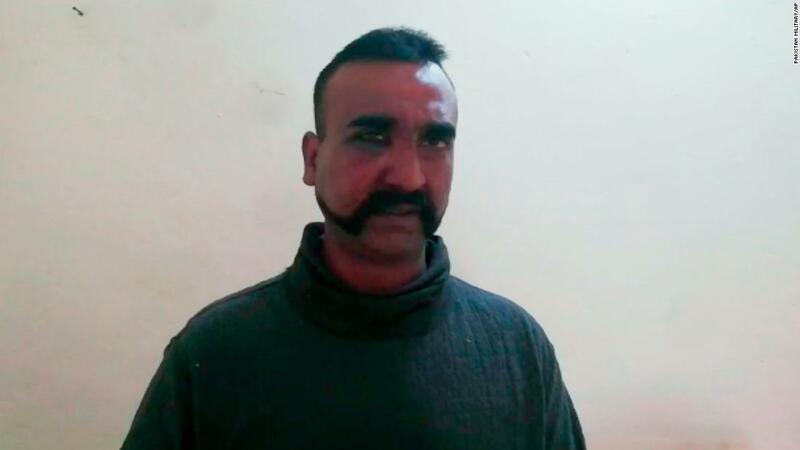 Indian Wing Commander Abhinandan has been in Pakistani custody since then. Pakistan infuriated Delhi by publishing a video of the pilot, which was then circulated on social media. Khan's comments came as US President Donald Trump told about "attractive news" from Pakistan and India after his summit with North Korea's leader Kim Jong Un concluded Thursday in the Vietnamese capital of Hanoi. "They've been on it and we've been involved in trying to stop them," Trump said. "And we have some pretty decent news, hopefully it'll end." Modi also urged the indigenous people to "lie like a wall or a stone" against terrorists trying to "destabilize the country." The escalating crisis has also led to the closure of Pakistani airspace that disrupts thousands of flights Worldwide for two consecutive days. 1; one of the largest routes from Southeast Asia to Europe. The immediate trigger for the recent confrontation was a suicide bomb attack on February 14 in Indian-controlled Kashmir, who killed 40 Indian paramilitary soldiers. India accused the terrorist group Jaish-e-Mohammed of the attack, the deadly on security forces since the beginning of the rebel system at the end of the 1980s. "The world follows our collective will. We rely on the ability of our army and because of this, it is imperative that nothing happens that damages their morals or that our enemies should have a chance to raise a finger against us, "Modi said Thursday. Modi comments came hours after the Indian pilot became identified. General Vijay Kumar Singh, Indian Prime Minister for Foreign Affairs, published a tweet on his verified Twitter account describing Abhinandan as "the performance of a mentally harsh selfless and courageous soldier" and called for his safe return. "During these test times, the country stands as one behind him and his family. Our efforts are at & under #GenevaConvention we hope the brave pilot will soon return home," Singh tweeted. Previously, Pakistan published what it said was a video from the detained pilot – a step that India's Foreign Ministry called a "vulgar screen" and "unconscious act of aggression." After February 14, Modi expressed "deep anger" and promised that those responsible would pay a great price. However, he has been quiet in recent days. Modi 's reluctance to publish the growing crisis along the border in disputed Kashmir is in stark contrast to Pakistan' s Prime Minister Khan calling for dialogue between the two parties. 19659002] Speaking at a national address Wednesday, Khan said that any further escalation between the countries would be beyond the control of the two leaders. He warned that because India and Pakistan had nuclear weapons, the stakes were too high for any "miscalculation" in conflict. "World history tells us that there are miscalculations in wars. But my question to the Indian government is: Give the weapons we and you have, we can afford anyone miscalculation? "he said. "It won't be under my control or under the control of Indian Prime Minister Narendra Modi." The tensions between India and Pakistan – which have been heated since mid-February – nailed even longer Wednesday when Pakistan claimed its air force shot down two Indian jets over the disputed border region of Kashmir. The confrontation came one day after India said it launched airstrikes in Pakistan's territory in the first such entry of Indian air forces since the India-Pakistan war of 1971. 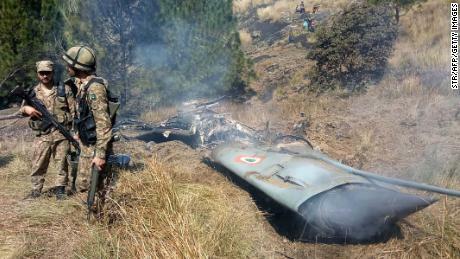 India confirmed the loss of an aircraft in the Wednesday incident and said it shot down a Pakistani jet as it reacted. India and Pakistan control both parts of Kashmir, but each claim the region fully. CNN's Adeel Raja contributed to this report from Islamabad.